OCLI (Manhasset) - Book Appointment Online! 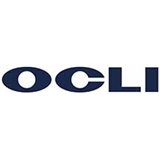 OCLI is a renowned, multi-specialty eye care group that offers a wide range of eye care services. OCLI strives to have each patient treated by one of the nation’s most highly skilled and qualified specialists. Many are recognized for innovative medical achievements including performing the first refractive surgery in the world. OCLI boasts state-of-the-art medical facilities, housing the most advanced technology available to offer patients a variety of ophthalmic services and treatments, including routine eye examinations and sophisticated LASIK surgery. Dedicated to providing exceptional medical services, OCLI is “clearly the best choice” for all vision care needs. Excellent service all around. Staff very friendly. Doctor very thorough with the information provided and next steps. Recommend this doctor. She is very calming, patient, and informative. She really put my mind at ease.